Cats are one of pet lovers’ favorite companions. It doesn’t really matter whether you are living alone or with a family, a kitty can be always welcomed. Whatever the cat breed you prefer to raise, they are all adorable, with a promising lifespan that can reach two decades or even more. Needless to say, all cat owners think that cats should really be considered man’s best friend. So, the blep turned out to be a real thing. It is the equivalent of a human’s blank stare but with an overload of cuteness achieved. If you don’t believe me, these pictures are undeniable proof! Please meet some charming kitties caught showing perfect blep faces! Ready to show a blep! Actually, I don’t know what I love the most, the blep or the crazy look! What about you? 4. What are you talking about? This is the most innocent blep I’ve ever seen. 5. what about a nice blep session? Now take this shot under the sanctity of the furniture, of course. The blep can be a very effective weapon against other kitties. 7. Taking a nap with an adorable blep. Yes! This day was well spent! 8. Playing hide and seek? This is one supreme blep under the covers! 9. Now, no place left un-blepped! This kitty thinks that the library is the purr-fect place to blep. 10. Thinking of a provoking blep! Looks like this kitty is going to blep until the end of the day. And no one can disagree with this! Or it should be named the Chronicles of Blep? This must be something else altogether; the blep of a Serval kitty! 15. 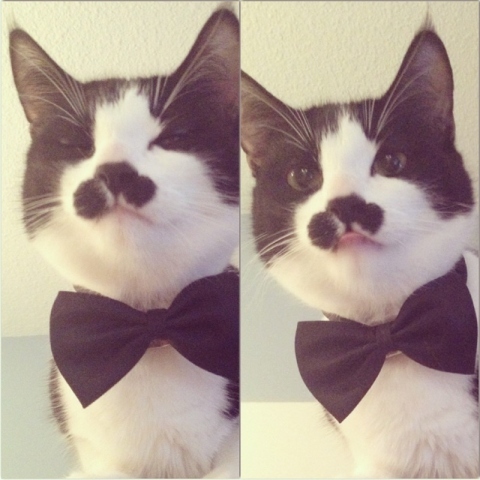 The cutest gentleman on earth – Sir Blep! Good blep to you sir! space is sending you this blep. This bed is the coziest place to do it. 18. How do you love to take your blep? Well, with wide blue eyes, please. 19. The new mom blep! Regardless the species you belong to, all moms know this feeling. The first blep is the sweetest, isn’t it? The sweetest kitties love to blep while lying on the green grass, right? It is the purr-fect time to blep, what did you think? 23. I feel tired, but not too tired to blep! Time to find a comfy chair to blep the night away on. Actually, not too bashful to blep. Even those wild majestic jungle ones. Crochet, add any kitty, receive one charming blep! 27. Please have a seat, we have to talk blep things right now. Time for some serious business. 28. Did you blep at me?! What about the blep?! Blep!? Please SHARE this gallery with friends and family! Previous article 5 Cool Pet Gadgets You Can Get This Black Friday With 50% Off! Next article 2 Weird Cat Behaviors Are Finally Explained! Woman Buries Her Dog’s Ashes, Then She Spots Something At The Same Spot! Desperate Pooch Receives Miraculous Rescue Just Minutes Before Euthanasia!